attempting to make it The College mascot." Coming from a family background of strong women who were entrepreneurs, business owners, heads of organizations, managers, and clerks while being wives and great mothers, I cannot imagine them, especially in today's post feminist times, supporting the moose mascot, which is represented by BULL MOOSE in full breeding splendor with its impressive, spatulated antlers that it carries less than a half year. So, for me, it seemed "retarded" to even consider a mascot that did not properly represent a little over half of the current student body... Women! Just as it was correct for DARTMOUTH to discard the Indian symbol to properly reflect The College's sensitivity and renewed commitment to Native American's, it is equally as correct that DARTMOUTH should adopt a symbol that reflects, prima facia, The College's equal commitment to women who attend and have been graduated from it for over 30 + years. Since my sole goal was to find a mascot... I was trying to think of how the moose could work to reflect this equality. 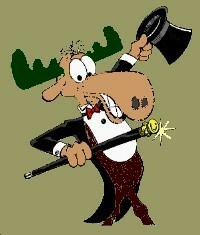 Currently, the moose is the BMascotOC, and an image which I use in business and in life. ( I have a web design company "Cool Moose and a Reclusive Goose" and lived on on Moose Hill Parkway on Moose Hill.) Therefore, going with the overall flow in supporting the Moose as mascot initially made sense with my desire to quickly support a unified mascot. However, it's likely not appreciated that ALL moose characters and costumes are of MALE MOOSE. "If the moose doesn't fit, it's time for me to quit!" And, so I did. I abandoned Dartmouth's and my moose. Freed of the moose, my first thought turned to feathers. I could picture feathers on the back of football helmets, as stripes replacements on the sides of pants, as chest logos, etc. Further, I felt that the feather was an appropriate link to Dartmouth's previous symbol without the negatives. For the moment, I was discounting the feather's negatives such as "the Dartmouth featherweights are now taking the field." I didn't care. Thoughts were erupting.. green feather boas, etc. 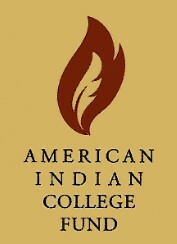 Well, this concept quickly ended when I discovered that American Indian College Fund already uses the feather as their logo. Nonetheless, while encouraged by the quality of my thought, out of respect, I dropped the feather, all together, BUT NOT THE CONCEPT. "Feather...feather... what looks like a feather?" As I started to pace in my living room, I startled a family of White Tail deer on my back lawn (actual photo) . They dashed-off. For people who don't know, White Tails raise their tails... when startled, and on the run. This exposes the bright white underneath hair (so much for Darwin's natural camoflauge theory). This "flash" is so striking that one can catch this occurance hundreds of yards away. Whatever, their disappearing butts inspired a new thought. "Feather... White tail... Feather... White Tail." "White Tail... Male... White Tail... Female." I could already see the faux white tails being shaken by the Dartmouth faithful in the stands. Where I saw the feather, I now saw the white tail. I saw white tails being attached to belts, hanging from pick-up truck mirrors... white tails all over. Again, for the time, I was not concerned with the possible negatives; "piece of tail," a soft image, and sadly even in the exclusive use of "white" though it has nothing to do with race in this situation. "Dartmouth's past is used by the American Indian College Fund." "Feather equals White Tail Deer tails." "White Tail Deer tails equal gender equality." NOT QUITE BINGO, BUT GETTING THERE. So, two more cups ... and I was back at it with caffine clarity. "Why would Dartmouth women want the bull moose?" "What is it that mascot moose have?" Do you think that even the guys know that the bulls carry antlers for less than half the year?" "Where can I guy find a rack of antlers on a female deer?" "Just go through it, again. Slowly..."
"White Tail Deer... Antlers on males." 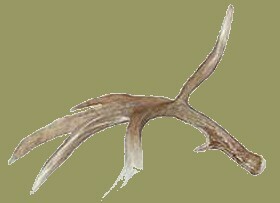 "The only Cervidae in which males and females have antlers is the reindeer, also known as caribou!" I KNEW... JUST KNEW... THAT REINDEER / CARIBOUS ARE THE RIGHT CREATURES TO INSPIRE DARTMOUTH'S NEW MASCOT AND IMMERSION -- ACADEMICALLY AND SOCIALLY -- INTO DEVELOPING A NEW CAMPUS AND COMMUNITY CULTURE THAT IS POSITIVE, FUN, YET IMPORTANT TO A NORTHERN WORLD SOCIETY. Rudolph is NO PART of this proposed mascot! Santa's Rudolph is a fiction... Dartmouth's Reindeer are reality. Imagine. The answer to the mascot question was already on campus; truly a diamond under Dartmouth's feet as many eyes scanned horizons for another gem. it's time for dumpster diving to retrieve Dartmouth's future!